Weather: low 80's and semi humid. 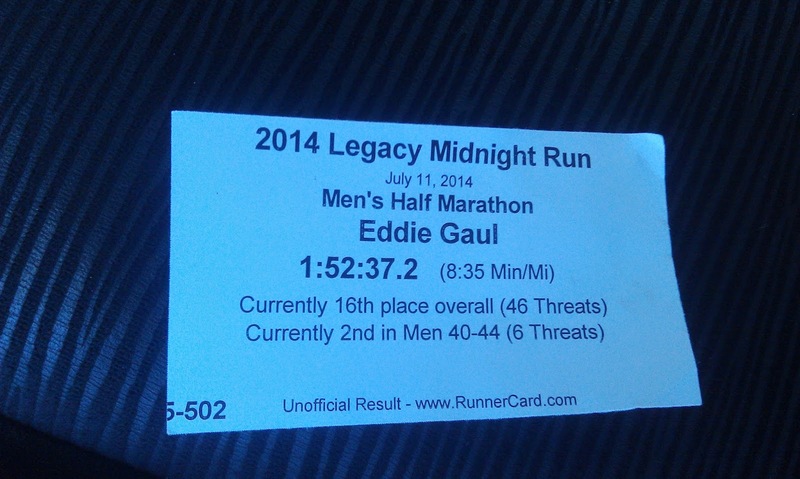 On Friday, I ran the Legacy Midnight Half Marathon in Farmington Utah. 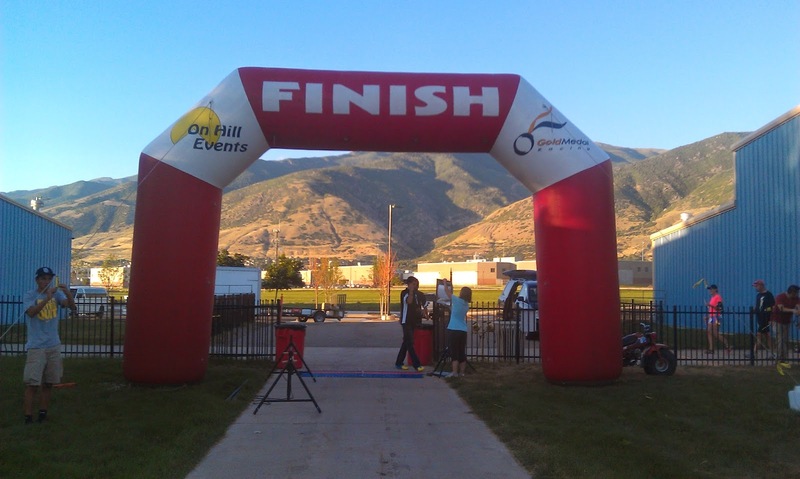 This is my 3rd year in doing this race as now appears to be a summer tradition. Unfortunately, it is also a reminder that I am getting a bit slower every year. 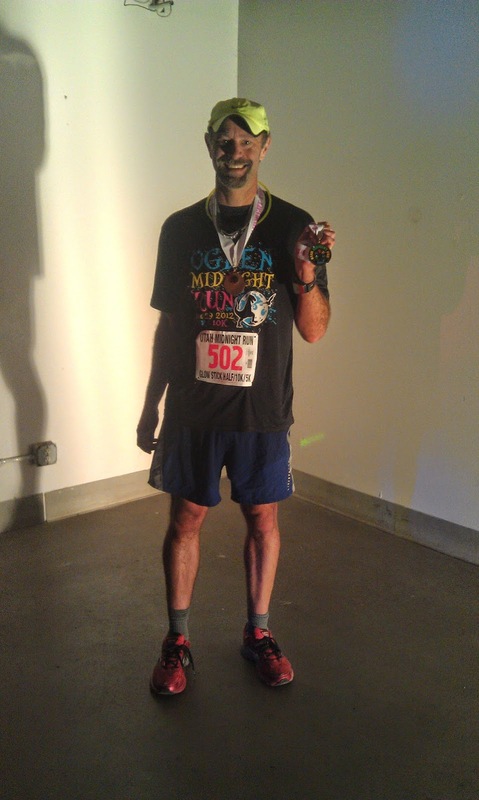 This year's 1:52 was passable and it got me into the hardware, but I was really hoping to at least meet or exceed last year's race. 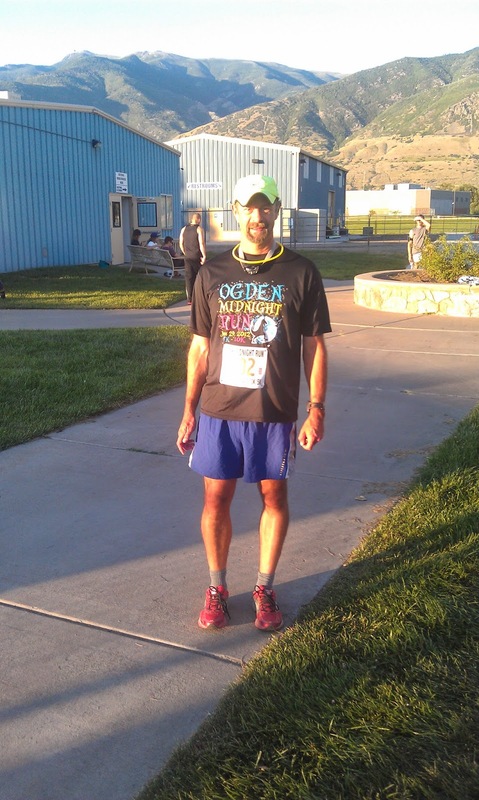 You can read about last year's experience here on my blog, in which I ran a 1:49. In 2012 I ran a blistering 1:39.
neon glowsticks, so as you progressed north you'd see glowing and bobbing lines and circles. Once again, around mile 5 my right hamstring got tight. It would squeeze a bit and then let up. Every few miles it would feel like it needed a good stretch. I've been stretching it and foam rolling but it looks like when I increase the pace it likes to get angry with me. I suspect mentally it affected me more than anything, as I half expected it to cramp up. 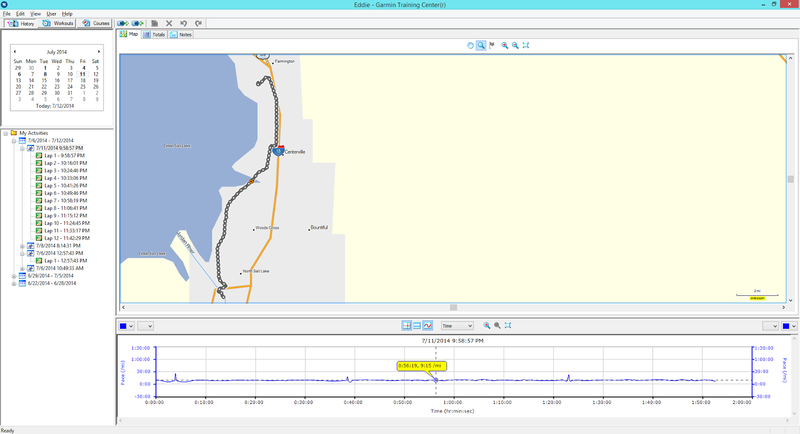 While the race appears short, around mile 7 I ran under a .10 mile long bridge and my GPS lost contact in there. I am not sure how my Garmin recalibrates itself after reconnecting with the satellites, but it might be lost distance. I suspect the course was very accurate. My goal was to start the first 3 miles with the 1:50 pace group in my sights and then after mile 3 start to increase my pace until I caught and eventually passed him. I was making good ground on him until about mile 7 (I think I could still see him in the distance until mile 10 or so). 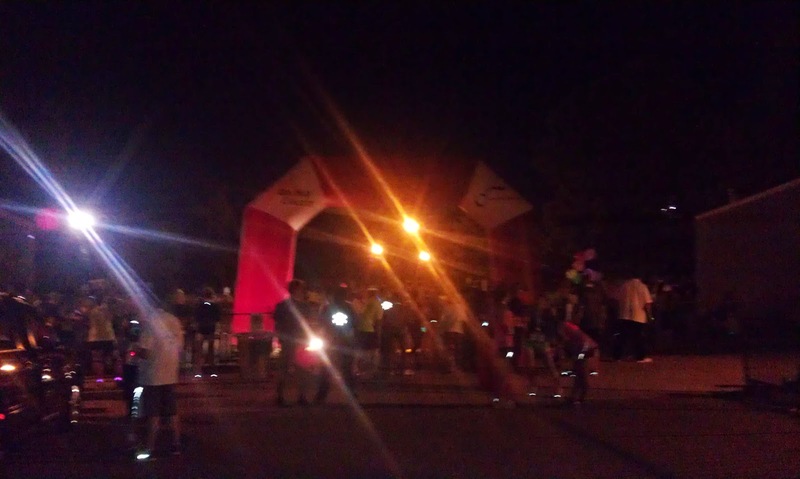 The humidity (as far as Utah goes it was a semi humid night) and my bothersome hamstring made me realize tonight wasn't my night. Afterwards, I picked up my award and headed home. While I chatted with a few people at the race, I didn't really know anyone. 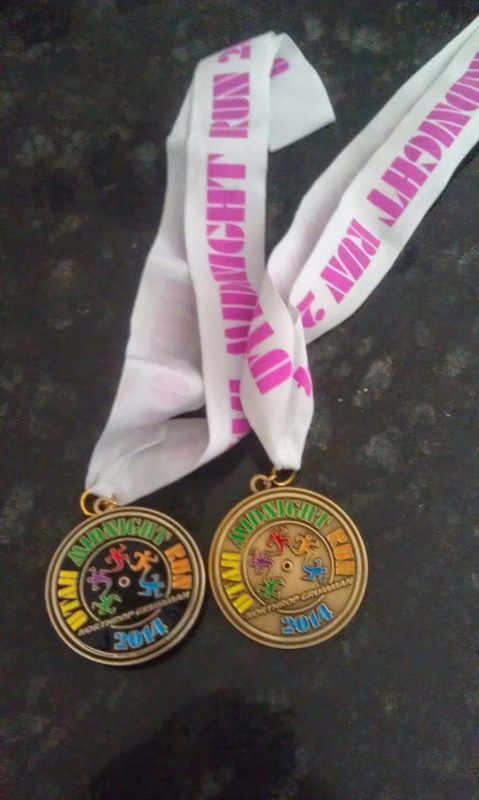 If the finisher's medal and the age group award look familiar, it is because they are: they are the same as the sister race that was two weeks ago in Provo (as well as the t-shirt). Sort of a disappointment in a way but I am sure it helps keep costs down.